This time last year approaching Mother’s Day I wrote about our wonderful mums over 50 and the wonderful influence they have over us. You can read that post again, just click here. I would love to share with you the story of one of the most amazing mums in my life. That’s my wife Briony. Briony is definitely a new age mum. When I first met her she had just made the squad for the Sydney Swifts Netball team, now known as the NSW Swifts. She was an amazing netballer and very committed and passionate about the sport. She had a very successful career with the Swifts winning two National titles in the five years she played with them. When she retired in 2004 it wasn’t long after, our first child Sebastian was born. Briony had just finished her degree in Sports Management and graduated a couple of weeks after Sebi’s birth. Three years later she gave birth to our twin boys Charlie and Sam. Three very special boys who absolutely adore their mum. Briony has had careers in Netball and Rugby league administrations working part time. She also started coaching young rep teams while she was still playing and has since gone to great heights as a netball coach. Needless to say sport is a very big part of her life. On Sunday she coached the NSW U19’s netball team to a win in the National Finals. Four of her girls have also made it into the 19’s Australian Squad. To say the boys and I are very proud of her is an understatement. Below is a picture of Briony (second from the right) and her U19’s NSW team. This brings me to the subject of mums of today. To try and compare mums of today with mums of my mothers generation is near impossible. We certainly live in different times. Today’s mums are ambitious, smart and great mums as well. Not saying older mums aren’t all of the above they just had different priorities. Stay at home mums are all but gone these days and in a way it is a shame. Those who choose to be a stay at home mum, good on you, I take my hat off to you, as I believe it is a very rewarding thing to do. These days a lot mums can’t afford to stay at home and have to work. Like Briony, trying to find a balance between work, sport and being a mum can be very challenging. It can also be very emotionally draining. You can be torn between doing what you are passionate about and bringing a family up. Trying to manage your time so you give time to your family as well as being dedicated to work and/or sport. We are very lucky that we have great support from both sides of our families and Briony and I seem to manage without compromising our time with our boys. I believe Briony has a great balance and our boys are very proud of their mum’s achievements. I get dizzy sometimes thinking about what Briony and I juggle. She is an amazing mum and I have a real respect to all mums young and old. They all have varying challenges whatever road they choose, but they all seem to have a wonderful influence on their children’s lives. I feel blessed to have such wonderful mums in my life, and I’m sure our boys will grow up feeling the same way. This Mother’s Day we at Hair by Phd will be going out of our way to make mums of all ages feel special. In the week leading up to Mother’s Day we will be spoiling all mums and non-mums coming in to the salon with soothing hand massages, manicures and a glass of bubbly on top of what we normally do. Also watch this space for a great Mother’s day offer. You will be able to spoil your mum with a gift of beautiful hair and pampering. If you have liked this post, click like below and share it with your friends and family. 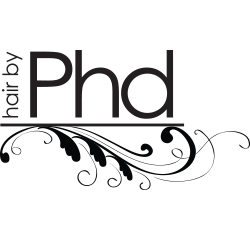 You can also check out all of Hair by Phd’s social network on Instagram, Facebook, Google + and Pinterest.